ALLEGRA BOVERMAN/Staff photo. Gloucester Daily Times. 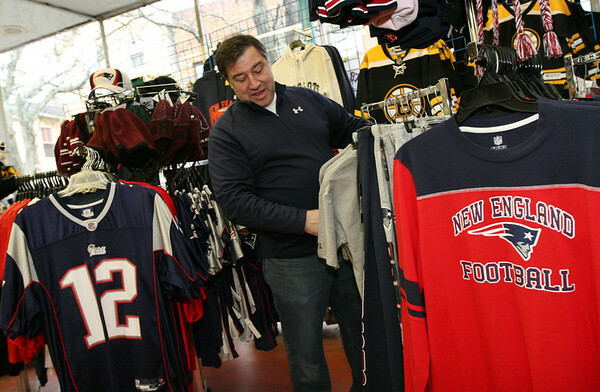 Gloucester: Jack Palazola, owner of Palazola's Sporting Goods in downtown Gloucester, has been busy selling Patriots clothing, accessories and gear.